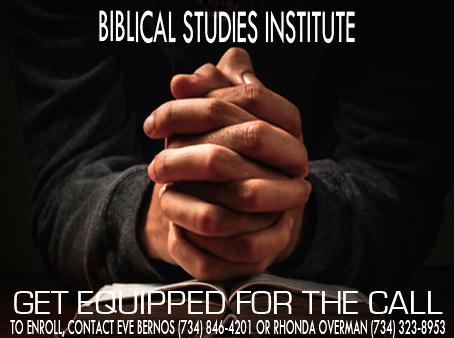 Biblical Studies Institute-Destiny School of Ministry meets at Bethesda Church and is a fully accredited & licensed school that will equip you for every day Christian living and the ministry God has called you to. Bachelor & Master Degrees by articulation agreement with DCU. Contact Eve Bernos (734-846-4201) or Rhonda Overman (734-323-8953 for more information or to enroll. Further your education & get equipped for the call!